Integral bench top unit (no vacuum cleaner or hose needed). Fluidisation by a cyclonic jet of air to separate the sample. 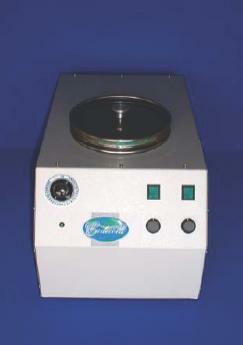 Uses Standard Test Sieves 200mm dia. Logical setting and control operation. Constant or adjustable time setting. Optimum technique for separation of fine powders. Efficient & accurate sieving analysis. Sample fines discharged by cyclonic action into collection drawer.